Babycarrying: It just makes sense. Anthropologists believe that we owe the survival of the human race to babycarrying. Our vulnerable, defenceless, furless babies so desperately need their mothers (and fathers) for protection, for food, warmth and comfort in order to survive and thrive. Mothers all around the world have carried their babies since the beginning of time using long shawls, cloth, scarves, you name it. It's not a 'new age fad' or trend and it isn't a fashion statement - all pretty hurtful things that I heard when I first became a mother. Babycarrying maximises skin-to-skin contact which promotes the release of oxytocin (the love hormone, and one of the vital hormones we need to give birth and breastfeed). Oxytocin reduces levels of stress and increases feelings of love and the desire to connect with another. Babycarrying helps them bond with their mother (ideal for breastfeeding and keeping milk supply up, and also for easing some mothers past 'baby blue' days and even PND). It helps babies feel a sense of calmness and love, and therefore become more content and settled. Premature babies and babies with special needs often enter the world with fragile nervous systems. Carried babies copy the rhythm of their mother's breathing, their bodies begin to mimic the sound of her heartbeat and the movements the mother makes—walking, bending, and reaching. This stimulation helps him to regulate his own physical responses. Research has even shown that premature babies who are touched and held gain weight faster and are healthier than babies who are not. Without banging on tooooo much about skin-to-skin, here's a bunch of really interesting, informative and in the case of no.1, downright emotional links to support what I've said above. Saving Babies by Cuddling them, Time Magazine. This article talks about Kangaroo care and Ruth Feldman's (a professor of psychology and neuroscience at Bar-Ilan university in Tel Aviv) studies on oxytocin and carried babies. NCBI evidence on the benefits of keeping mother and baby together for as long as possible after birth and beyond. 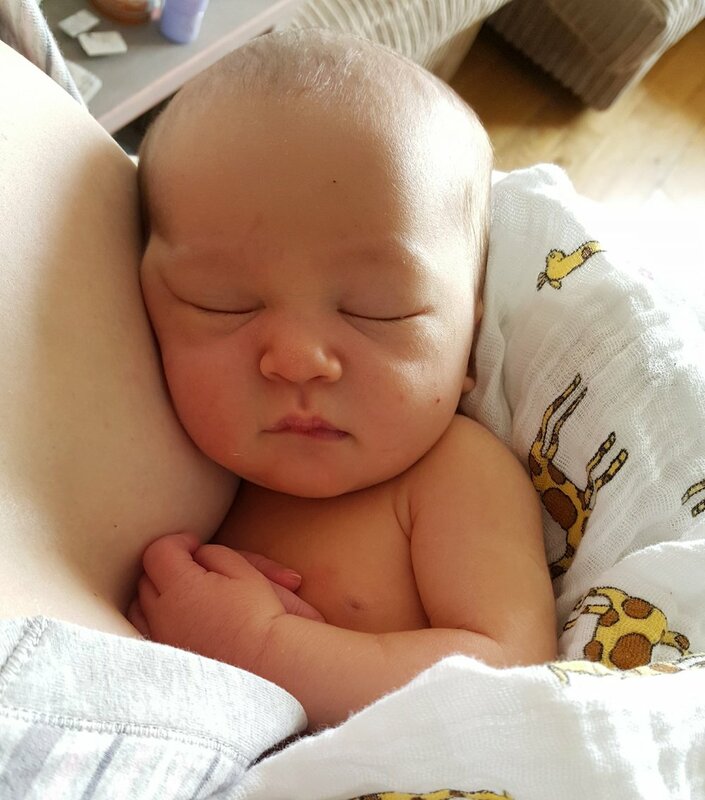 La Leche League's input from a feeding perspective. Cochraine evidence to support skin-to-skin. It concludes that early skin-to-skin should be normal practice for healthy newborns including those born by cesarean and babies born early at 35 weeks or more. It also supports using immediate or early skin-to-skin to promote breastfeeding. NICE Guidelines on caring for a baby born by cesarean. Updated August 2012 – Says ‘Early skin-to-skin contact between the woman and her baby should be encouraged and facilitated because it improves maternal perceptions of the infant, mothering skills, maternal behaviour, and breastfeeding outcomes, and reduces infant crying’. All mothers will agree, when we have a baby we quickly learn that they prefer to be carried, which makes dong anything with two hands a challenge. There are many reasons why, common sense ones really. The main one is, that your baby will have spent the past 36-42 weeks in a cosy, warm and dark place where they had the gentle and reassuring beat of your heart for comfort. It therefore makes sense that being close to your heart is going to be soothing for them. In fact, a study by Hunziker (referenced below) researchers found that babycarrying for three hours a day reduced infant crying by 43% overall and 54% during evening hours. Our babies are little, helpless mammals just like many in the animal kingdom who rely on their mothers for...well...everything. They have pressure points on their spines that mean when they get placed on their backs they feel utterly vulnerable and so they let off the alarm to us to pick them up again! They're really very clever. This does mean however that doing anything that requires two hands is near impossible so a sling can be a mama's best mate. If you live in a city, buggies can be a bit of a nightmare. Slings are SO much easier and mean you can hop on and off public transport without a fuss. Having a baby can be quite overwhelming for many women, so having the freedom to get out of the house to places that makes you happy, see friends and family and much-needed fresh air, will be good for your mental health. Babycarrying done properly could also be seen as much kinder to your back because you won't need to manoeuvre awkward prams and lift heavy car seats. Being upright in a sling can also help babies with reflux and also reduce the risk of 'flat head syndrome' from lying flat for too long. FYI this is really only relevant to carrying your baby facing your chest as you will only be able to see your child's communications (and vice versa - them seeing your reactions to people/things when out and about it important too) when he or she is facing you. The Fuss about Facing Out, by Sheffield Sling Surgery. 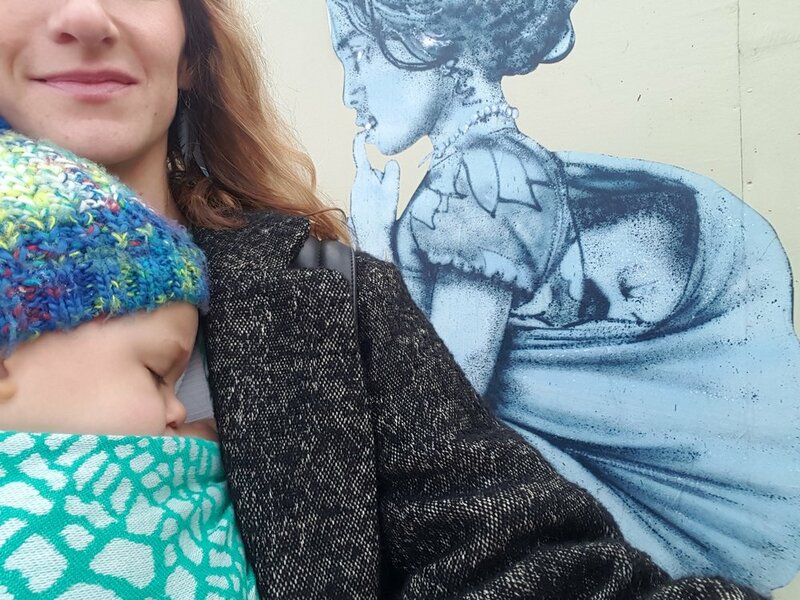 As a Postnatal Doula, a baby wrap is my essential item because I can scoop a baby in and go for a walk so baby naps while mama gets some essential rest herself. Babycarrying brings people together in this way - Dad's (obvs), grandparents, friends and other loving caregivers can offer to carry the baby to help the mother when she needs it. I've found that babycarrying brings people together in the western world in such a nice way. There are so many sling libraries, workshops and groups to join to learn about safe babycarrying, places where you can hire slings, carriers and wraps and try them out on days out together with new mums before you buy. London Slings - workshops and consultations in East Dulwich and Herne Hill. 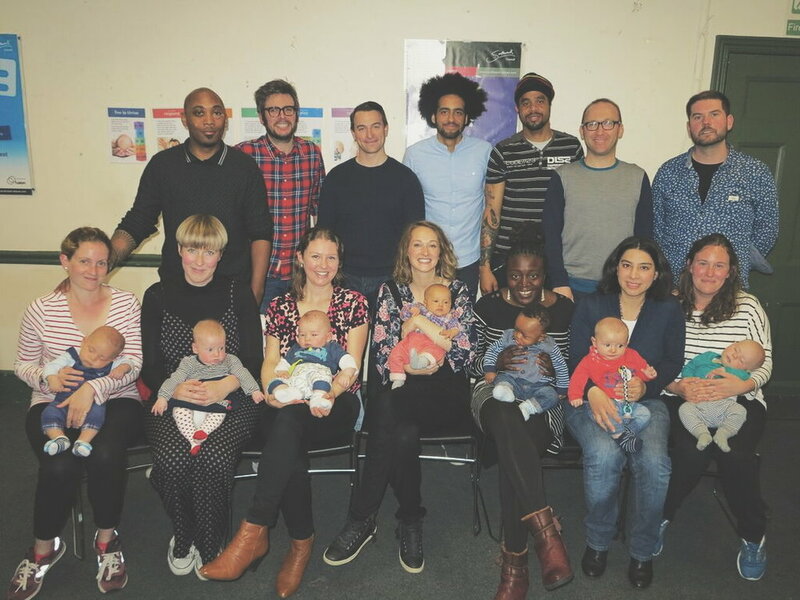 It Takes a Village - a supportive space for new parents in East Dulwich offering yoga, pilates, babycarrying support (obvs) and story time for littles and siblings. Lambeth Milk Spots - an example of a Facebook group with lots of info about milkspots in your Borough. Wrap you in Love - one of my favourite You Tube channels about babycarrying. *I am trying not to use the term Babywearing anymore, because it reminds me too much of fashion. I'll reference babycarrying instead but it's the same thing...in case I'm causing any confusion!